No need to take your rings, necklaces, diamonds and other expensive bangles to a professional jeweler for cleaning. 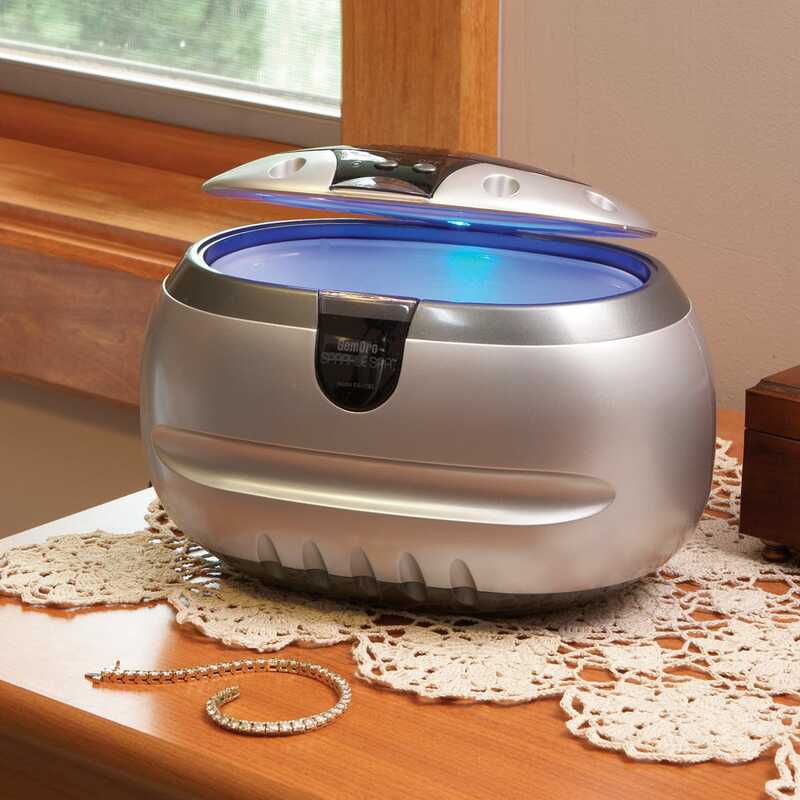 This ultrasonic steamer blasts away grime, dirt, oil and other pollutants that cause dullness with the power of tap water or sparkle solution (sold separately). You'll quickly see sparkle anew in your gold, silver and platinum jewelry as well as diamonds and other precious and semi-precious stones. Mini Spa can also be used for dentures, eyeglasses and more. Dimensions are 8" w x 5 1/2" h x 5 1/2" d.